Life has been really busy lately and I have to say I struggled to keep up over the summer holidays. Between my blog, YT channel and social media work I do it pretty much takes the same amount of hours as a full-time job which isn't surprising as between it all I make the same as if I was working in my old full time job, yet because I work from home and as a freelancer it means childcare goes out the window over summer holidays and I revert back to being full time mum. I am not complaining at all but it does mean having to slow everything down and adjusting to having minimal working hours. I'm still in a way getting back into routine and shifting through 6 weeks of emails and while stress is creeping in, especially as it's my eldest birthday this weekend and well thats a whole other thing to organise on top of everything else I feel it's really good to reflect back on all the positives and be grateful even when your trying to juggle everything. 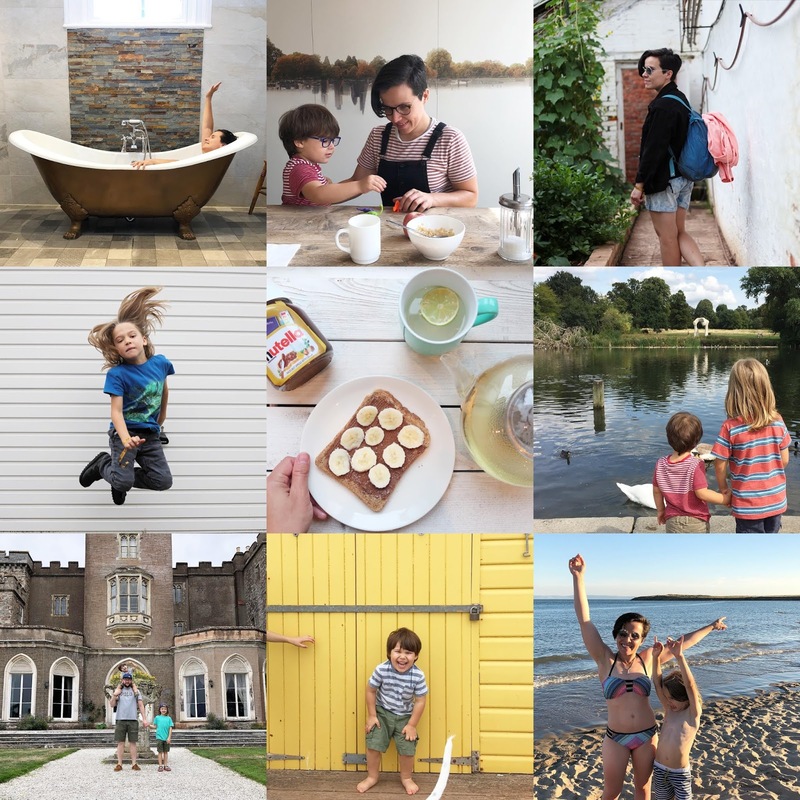 We had a really fantastic summer, packed with adventures and I thought I'd just share a few highlights and moments I am grateful for and please do stop by my Instagram account for more of the same. 1. I managed to have a rare child-free weekend at the start of summer (and I say rare because it's the first time in 5yrs) in Durham at the beautiful Hotel Indigo, it's a city I really want to go back and explore more and please do read my guide to A Weekend in Durham. 2. We had a very budget friendly over night stay in London with both boys and stayed in a place similar to a YHA but you wouldn't know from the look of it, this was taken at breakfast time in their stylish cafe room. 3. I also celebrated my Birthday earlier this month and reflected on what turning 34 meant to me, shared more about how I felt over on my Instagram account. What are the things you have been grateful for over the past two months? I think it's always really important to look back and reflect especially at times when your feeling stressed or overwhelmed. I love the idea of a gratitude list - it's all too easy to focus on the negatives. Yay to a child-free weekend!